AC&M Group is a full-service marketing agency that connects brands with consumers using cultural insights. Our motto is: Universal Ideas, Cultural Connections. Through our expertise in crafting culturally relevant campaigns we help companies reach and efficiently communicate with the new mainstream. The ultimate goal of the campaign is to increase consideration of Bojangles’ restaurants and awareness of Bojangles’ fresh and flavorful menu options among Hispanics system wide. 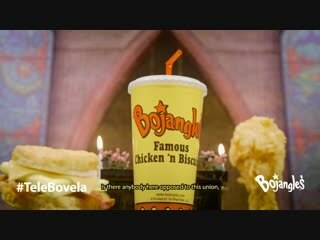 In this era of constant swiping down of social streams of media, Bojangles’, the legendary southern fried chicken and biscuits restaurant, is tackling the challenge of connecting with the Hispanic population using a touch of humor and drama while showcasing the variety of flavors and products at Bojangles’. © 2019 dotComm Awards. All rights reserved.